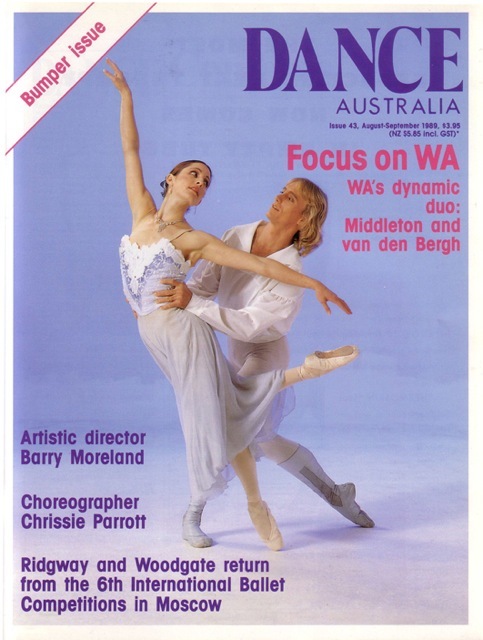 Brian McInerney and I established Dance Australia in 1980. We actually launched it at the Princess Theatre in Melbourne, and choreographer Graeme Murphy (with Janet Vernon by his side) made the speech and declared it on its way. 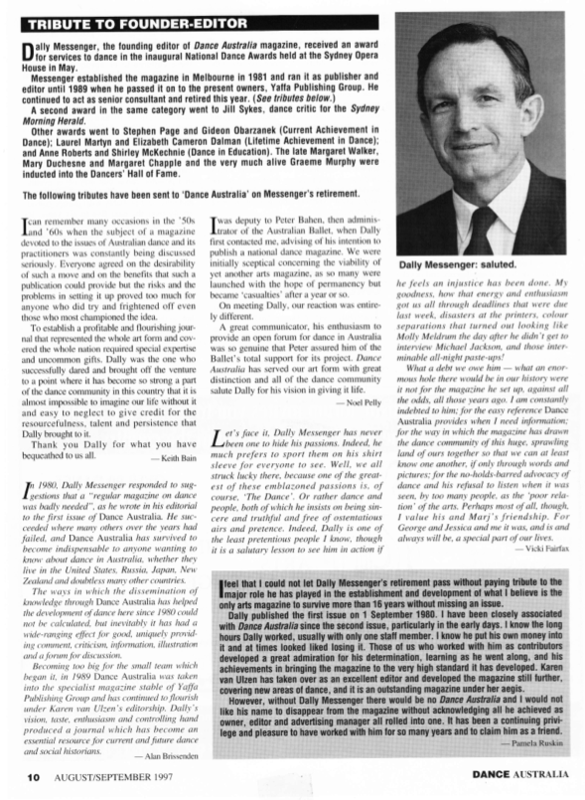 My fondest memory is the ad for the first issue donated by Andrew Guild, manager of Michael Edgley, They didn’t have any programme to advertise so they “gave” me half a page which simply stated “Michael Edgley welcomes Dance Australia”. Kelvin Coe and Marilyn Rowe were on the front cover. I very much appreciated the tributes which were published in the August-September edition in 1997. See links below and gain more information.